FUNCTION FOLLOWS FORM at the Rigid String Level, with a Pairing-Splitting Dark Matter Black Hole . : Quantum Gravity Pressure Differences between Black Holes and (Neutron) stars, or Planets. 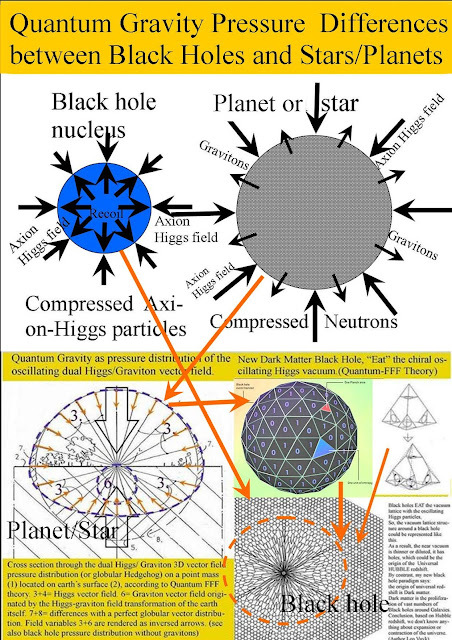 Quantum Gravity Pressure Differences between Black Holes and (Neutron) stars, or Planets. 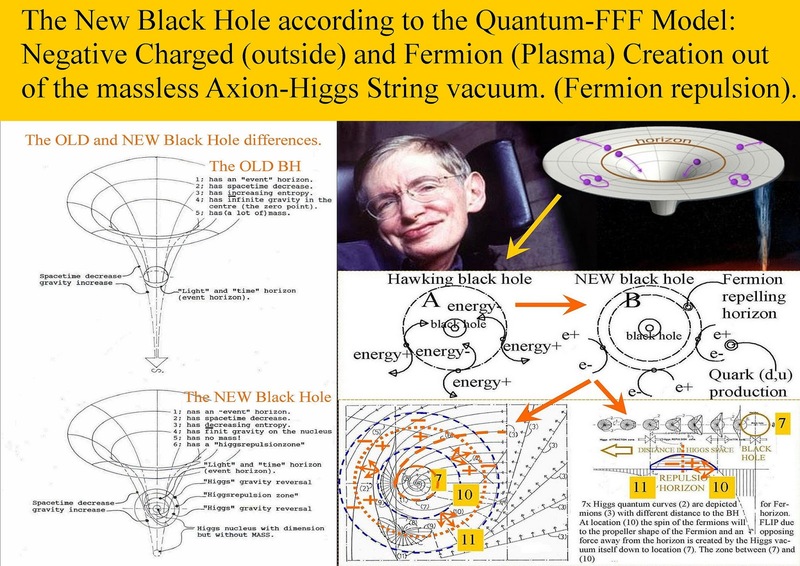 First, that there are no attraction forces in the universe. 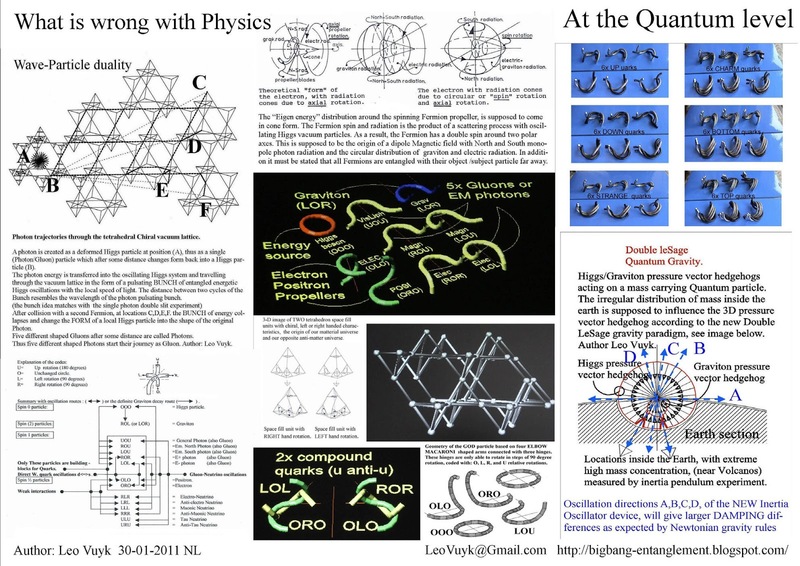 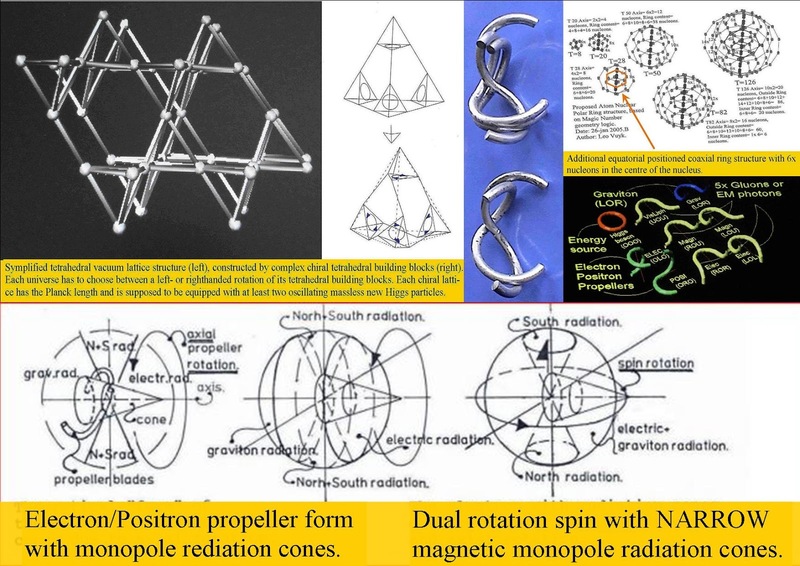 3e: gravitons and all other Photons and Gluons are Axion Higgs particles transformed by collision with spinning propeller shaped Fermions or Bosons..
4e: The New Black Hole is a compressed but resiliant Axion-Higgs field particle nucleus. 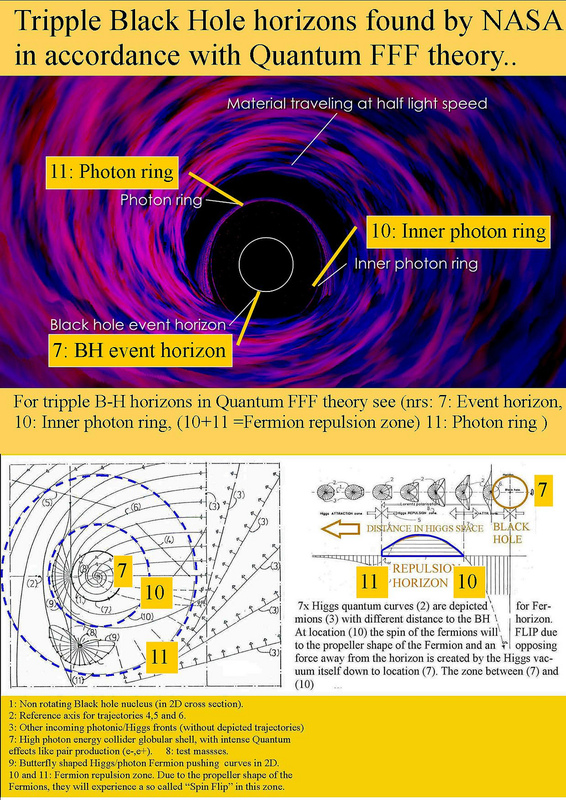 5e: Stable Black holes do not produce gravitons but produce fermion pairs at a small globular horizon leading to real plasma, which is negative charged from the outside. 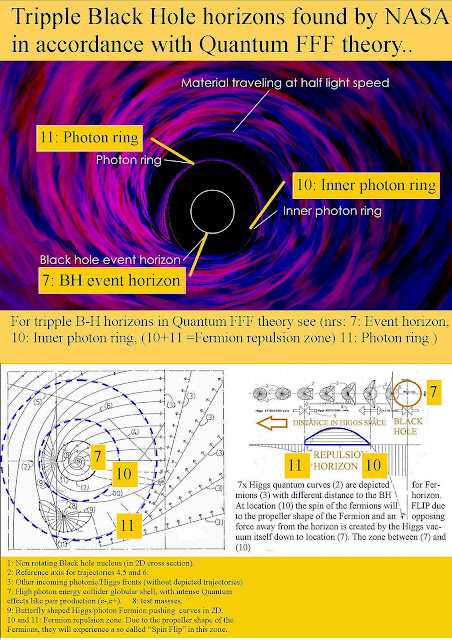 Conclusion Gravitons do not escape form the black hole.!!! 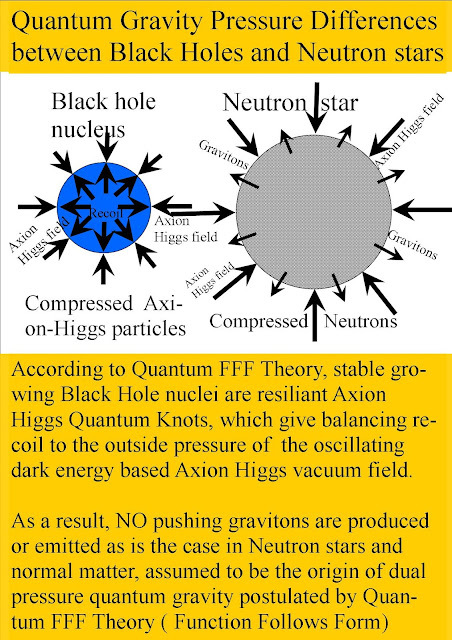 Only Space itself does the gravity job for black hole surfaces..
For Fermionic matter like (Neutron) stars Gravitons are assumed to push back as a balancing element between two pressure fields..
BH nucleus and Neutron star "not to scale"
According to Quantum FFF Theory, Gravity should be a dual pressure effect between the small pressure of pushing gravitons contra the dark Casimir emerging oscillating quantum vacuum lattice. 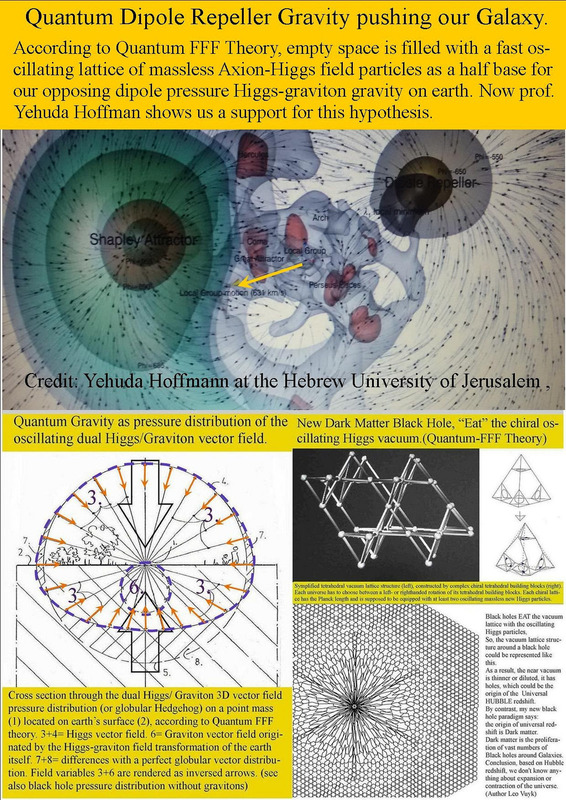 In combination with the recoil of black hole resilience a lot more can be explained, such as the cyclic universe. 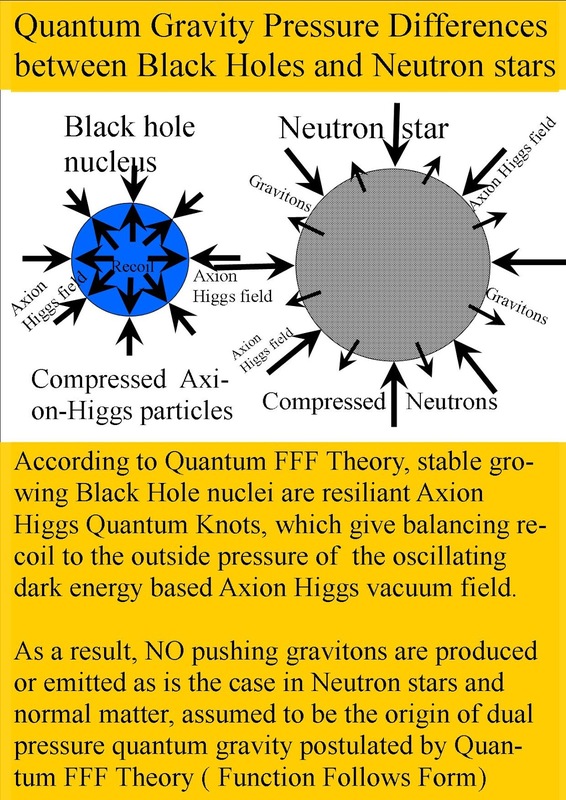 As a consequence, stable growing Black Hole nuclei are resilient Axion Higgs Quantum Knots, which give balancing recoil to the outside pressure of the oscillating dark energy based Axion Higgs vacuum field.